Were one of your New Year’s resolutions “eat healthy” (or eat healthier, for those who are a little more realistic)? I’m not as disciplined and goal-oriented to set actual resolutions, but eating healthy has been one of the few goals I’ve had in mind for the past year or two! But as with many in this city, it’s pretty hard to avoid dining out almost every meal – which probably means you’re overloading in sodium and oil. One relatively achievable step to eating healthier is to do it on Mondays. You’ve just spent the weekend binging on unhealthy food at dinner gatherings, so you’ll probably be most in the mood for some detoxing! It’s the most important meal of the day and often shapes the way you eat for the rest of the day. 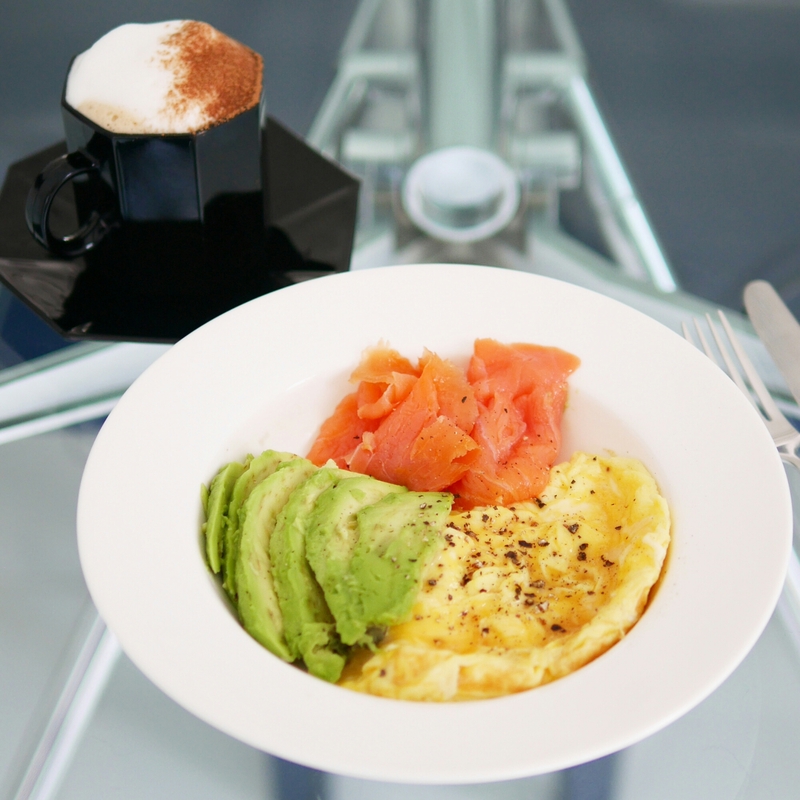 A healthy breakfast can also improve your mood! If that’s not already on your agenda everyday, at least make it happen on Mondays first. This breakfast makes me feel good for the rest of the day. 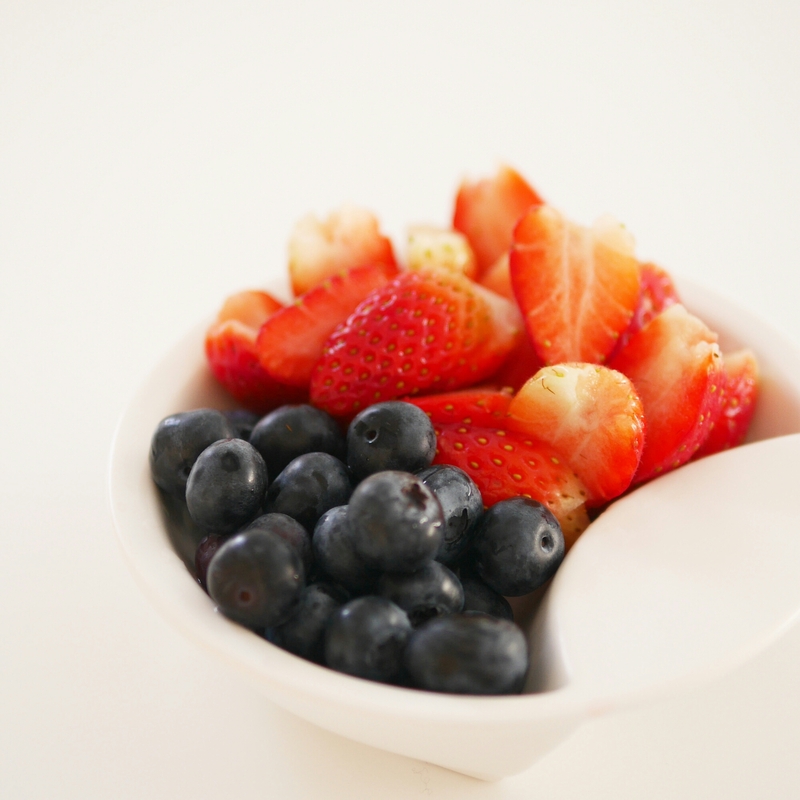 It’s good for the digestion and I believe berries is one reason my skin has improved recently. For variations, try adding sliced bananas, granola for some crunch or honey for sweetness. Remember to go for plain yogurts without added sugar though! Ease factor: prepare everything the night before and just grab it from the fridge in the morning! These three items are all great at keeping you full for longer. The breakfast pictured above was prepared for a day of hiking… so on a normal day, it’s too much to have all three. I would pick two items out of that combo. When I’m feeling bored, I’ll sneak in a slice of brie or cream cheese for an epic kick. Ease factor: It’ll take 10 mins – essentially you just need to scramble the egg! I struggle with lunch the most. There are so many tempting options around where I work (Central). But preparing a satiating meal at home the day before, means you can be good to your body and your wallet! My rule for lunch is that I’ll replace salt with herbs and pepper and only use a tad of avocado oil in place of salad dressing. 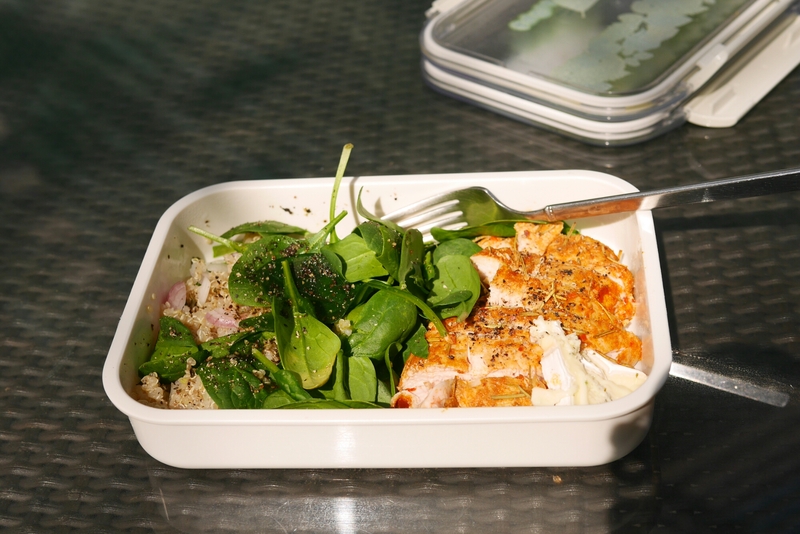 Rosemary paprika chicken breast with quinoa salad (mixed with shallots, onions and avocado oil), spinach leaves and a slice of brie cheese. Black pepper seasoning is crucial too! Some sort of salad is the most convenient option, as everything can be prepared the day before. I usually make chicken breast and have it with a variation of ingredients. Marinate the chicken breast with a generous amount of white pepper, paprika and rosemary; add in some chili flakes if you like spicy. The herbs give the meat sufficient taste that you can avoid using salt altogether. Bake in the oven at 160 degrees (c) for 11-12 minutes (depends on the size) – this part is crucial – the low temperature keeps the breast super tender and juicy (even the day after!). 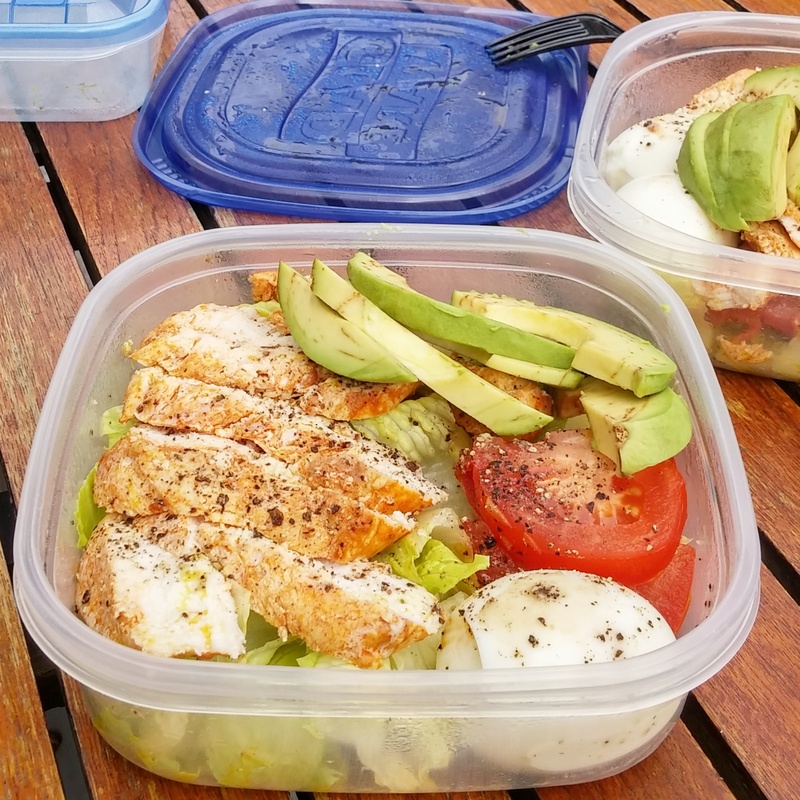 Rosemary paprika chicken breast with lettuce, tomatoes, soft-boiled egg and avocado, seasoned with avocado oil and black pepper. Ease factor: It will take about 1 hour prep time the day before and 3 mins in the morning to sprinkle in some avocado oil and black pepper. Eating healthy everyday is impossible for me. But eating unhealthy everyday also makes me feel horrible. I try to draw a balance between the two (even if I am dining out) and in making sure the healthy part happens, I’ve introduced healthy Mondays into my routine – at least it’s something I know I can commit to!